Nevadans buying health insurance on and outside the state marketplace will pay nearly the same prices they paid last year, the state Division of Insurance announced Tuesday. 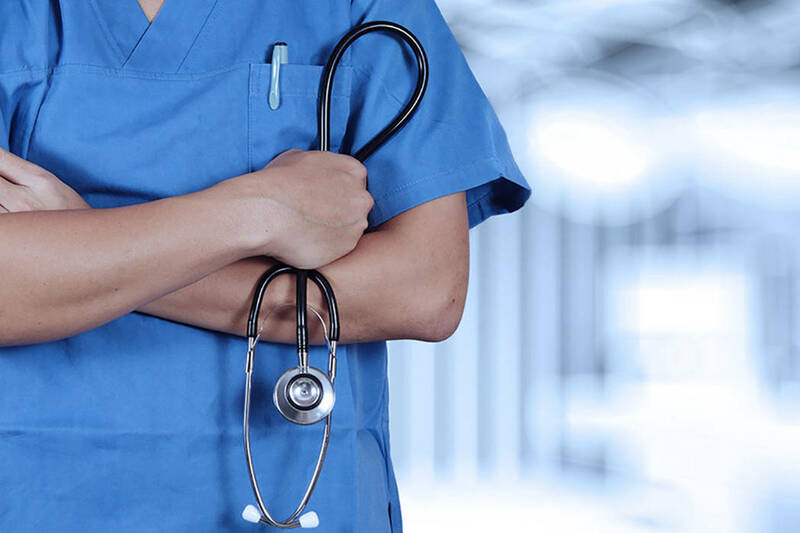 Nevadans buying health insurance on and outside the state marketplace will pay nearly the same prices they paid last year, the state Division of Insurance announced recently. While plans sold outside the state exchange will see average premium increases of 2 percent, on-exchange plans are decreasing in price by 0.4 percent on average. Combined, that’s a 0.3 percent increase, the division said. The smaller changes are a sign of stability in the health insurance market, following a national trend, state Insurance Commissioner Barbara Richardson said. “Once we saw the proposed rates, we knew we were moving in the right direction,” she said. Last year, plan rates went up an average of 31.6 percent on and off the exchange. 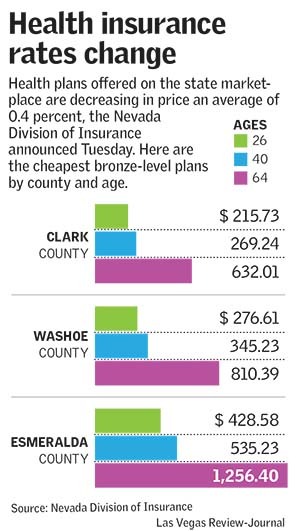 Rate changes don’t affect 87 percent of Nevadans buying plans on the Silver State Health Insurance Exchange. Those people receive subsidies, which adjust according to premium changes. But for the remaining 13 percent — and likely some of the 11 percent of Nevadans who are uninsured — premiums come at full price and are largely unaffordable. Richardson said she thinks new association health plans, available to Las Vegas Metro Chamber of Commerce members and in Washoe and Clark counties through other chambers of commerce, will eliminate some of the problem. Still, few options exist for those in rural areas who make too much to qualify for subsidized coverage but not enough to afford insurance premiums. The rates shown do not factor in subsidies.